I met Colin at The Upcycle Movement's Event, The Big Upcycle, he was showcasing his fab cob house, built from mud, wood, straw, and one million buckets of patience and love. Colin (carpenter and his wife Féile ( architect) designed and built this home from upcycled materials, mud, straw, fallen trees, salvaged wood, and everything else they could reuse, recycle and repurpose to create this home. 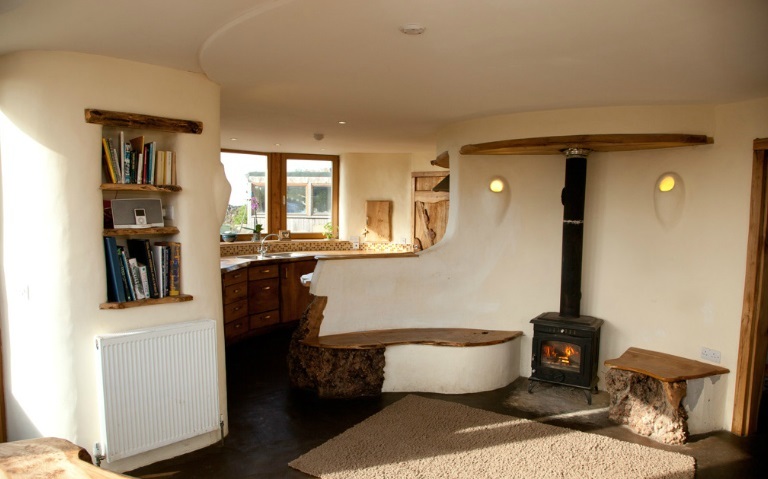 Every thing in the home screams, creativity, inspiration and eco friendlyness..... Everything is taken into consideration, rainwater is collected, the toilets are eco friendly, the walls and furniture are curved and organic. Solar panels to heat water in summer and a stove for the winter. They found wind swept trees and made the interior wood fittings. 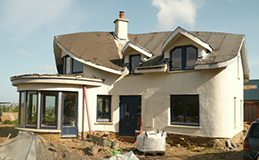 The house faces the south with double glaze windows, the north facing side has triple glaze.
""" 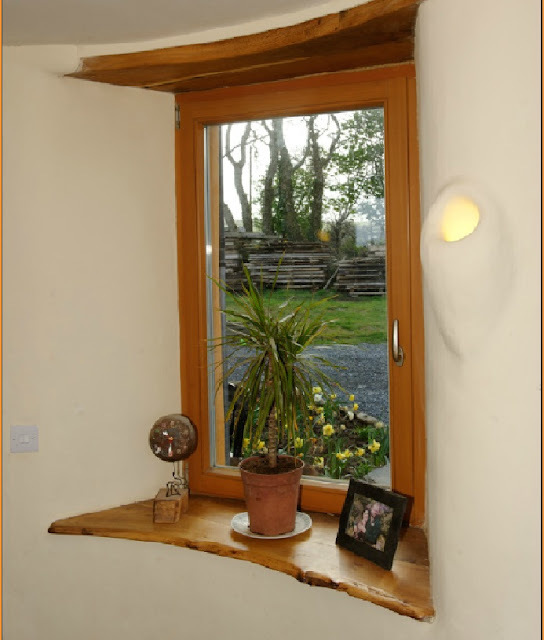 cob’s excellent thermal mass properties (the walls act like slow release storage heaters), its monolithic nature (which has a effect on how heat passes through the wall) and the fact that the mass of earth in the walls is a huge reservoir for water vapour (reducing humidity levels in a room, which allows you to feel more comfortable at lower temperatures). 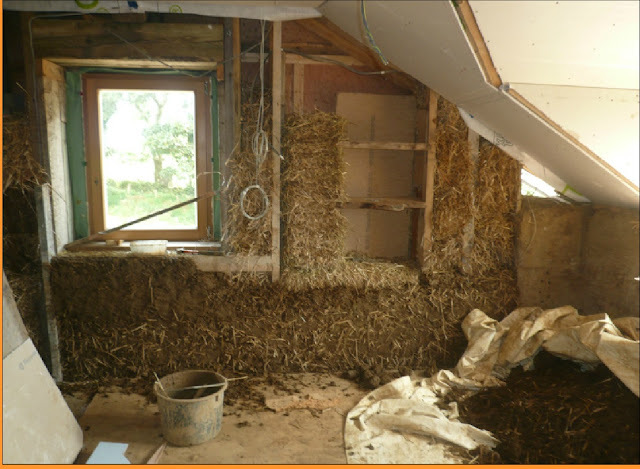 These qualities need to be investigated and measured further if cob is to be accepted as a viable modern building material.""" 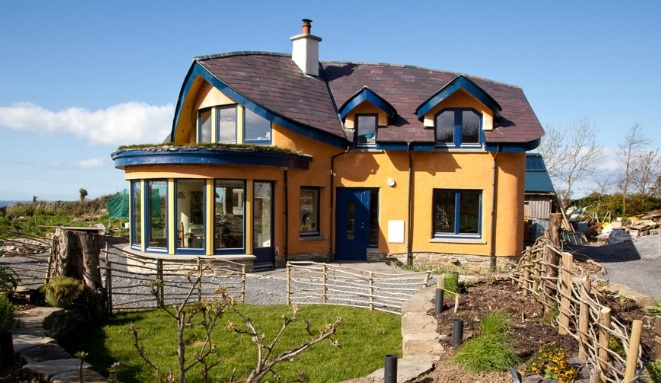 It took them three years to build this home, including source all the items (mostly for free ) and allowing the building to grow and flow with them.. If you have ever dreamed of living in a home that appeals to all of your senses, makes you feel so happy to be alive, where you wake up every day and feel so grateful, the drive home means a smile permanently stuck to your face, you always feel happy, a home that will grow and evolve with you and your family. It's a rational decision. I am looking for everest double glazing prices & deals since it's the best of all double glazing glasses. But apparently, I'll need an agent for helping me in all these matters.